Wolfgang Black Diamond Tire Gel this thick gel penetrates beneath the surface to give your tires a long-lasting true glow! Wolfgang Black Diamond Tire Gel provides long-lasting protection and a rich, satin finish. Tech notes: Proper application is important to maximize the effectiveness of this product. The viscosity of Wolfgang Black Diamond Tire Gel allows the product to be applied neatly and evenly, sit and penetrate the tire walls, and prevents messy sling-off. For best results, carefully apply one thin, even layer, swiped over the surface. This gives a handsome, well-dressed gloss that compliments most vehicles. If you prefer a heavier, glossier shine, wait ten minutes and reapply. 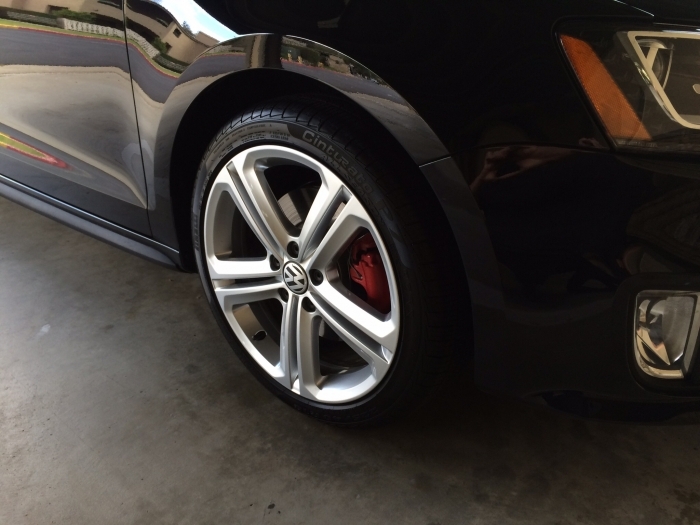 For less shine, follow the initial application by immediately wiping tire with a clean cloth. Wipe off excess tire gel around raised letters and between the wheels' edges and tires where the gel can puddle. Allow the gel to cure for at least 30 minutes before driving. It’s best to allow at least 30 minutes for the gel to cure. You will enjoy a beautiful finish on your tires that lasts for weeks. This tire gel won't degrade your tires and looks great for a week or two. Best product to put that nice shine on your tires. ProsApply two coats for high gloss, one for like new tire look! 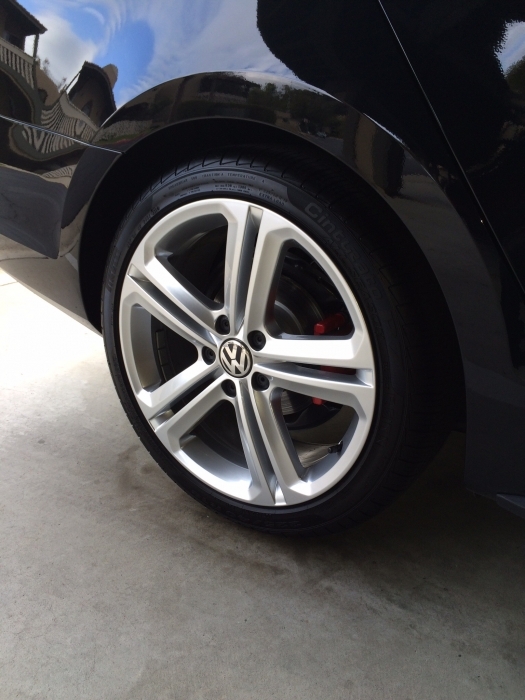 Wolfgang Black Diamond Tire gel is easy to apply, & the results are outstanding.